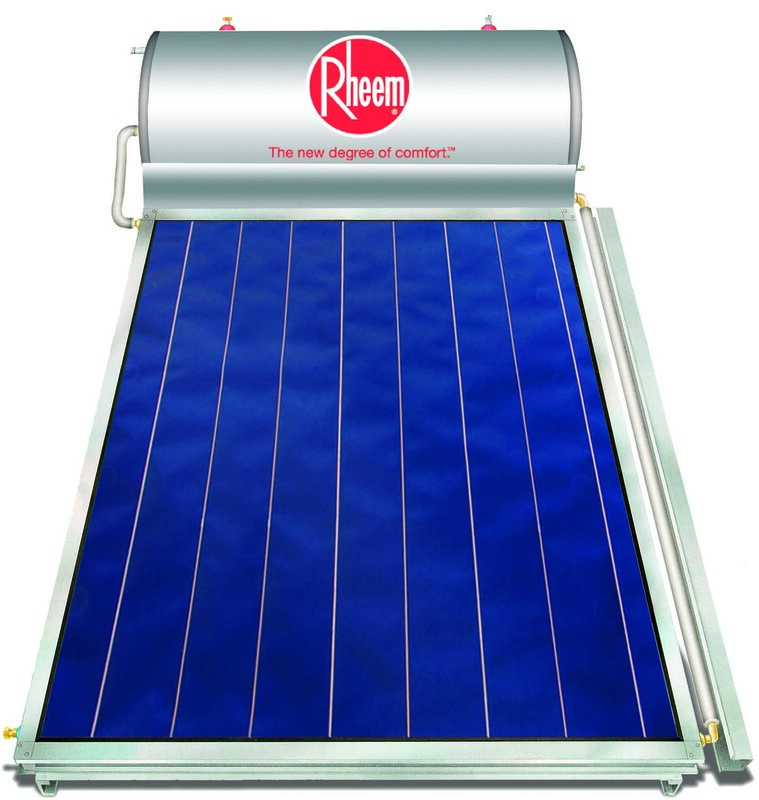 Rheem Solar Thermosyphon storage tank has an exterior casing made from anodized aluminum, which is extremely durable to ultra-violet rays, in humid climates, and in coastal areas. 3mm metallic storage tank of Rheem Solar Thermosyphon Water Heaters, tested to DIN 4800-5, for much higher resistant to high pressure water supply networks as most ordinary solar water heaters. The advanced design of the sealed jacket around the storage tank guarantees the operation of the system in freezing conditions, and also secures the collectors against corrosion and from interior clogging. One single absorber sheet with selective titanium treatment, ultrasonically welded onto copper pipes and solar tempered glass with specialized crystals for minimum sun reflection and higher output. Water Heater's collector(s) has a special Tempered Glass (4mm thick), to withstand hale and prevent any accidents. The side coverings of the collector protect the connection pipes from the ultraviolet rays and offer at the same time a nice aesthetic look that could be incorporated in every architectural building design. The excellent outer design of the unit along with the well Designed support base, allow for the easy and adjustable installation of the unit on top of tiled or any other type of roofs.